Check out this awesome article on quarterback Bryan Gagg! Sailor pride! Devotion can take on many forms. Devotion to a cause, devotion to a person, devotion to a job. 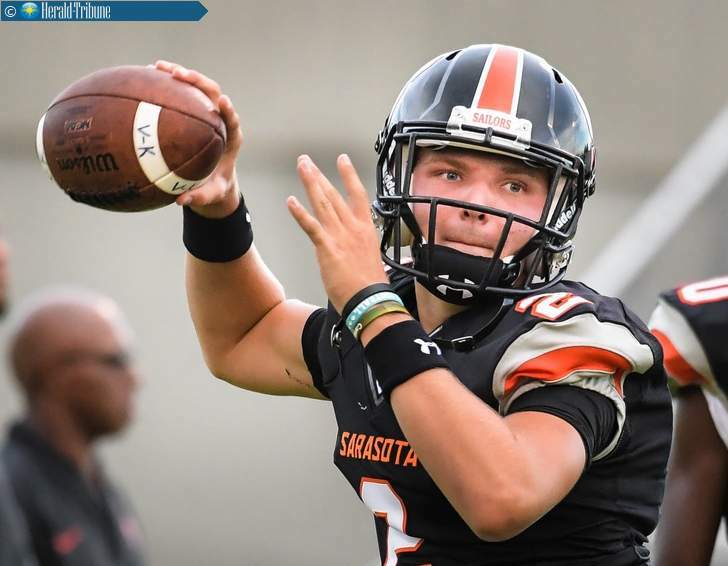 Sarasota High’s Bryan Gagg is devoted to football. What he did in the offseason to prepare for the 2016 season exemplified it. To increase his agility and explosion, he trained with former Booker High Tornado star Brock Waters at his X-Factor Elite Academy. To better his football wherewithal, Gagg worked with Adrian McPherson and his 7-on-7 team Air5. He attended camps in North and South Carolina.